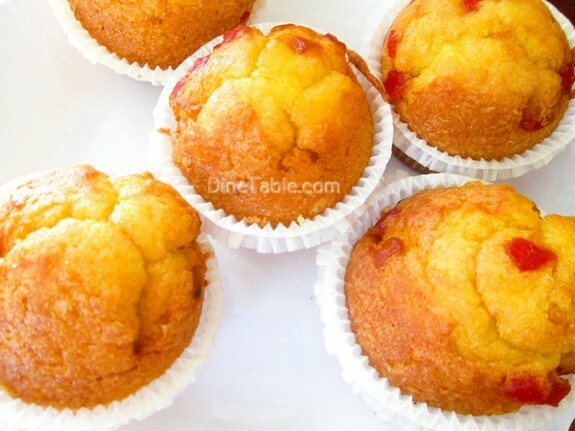 Soft and fluffy strawberry studded muffins made with fresh or frozen strawberries. Even if it is baked, the berries still remain juicy and crunchy. 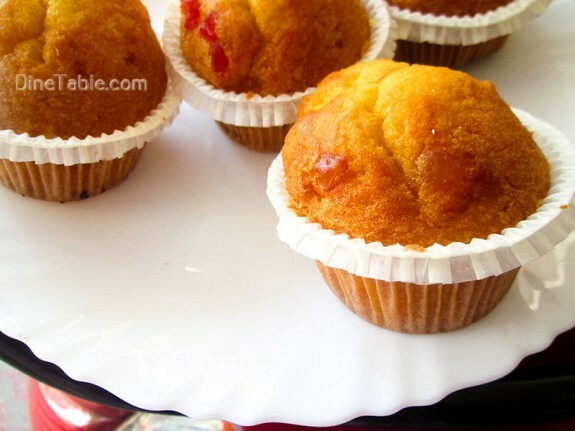 Strawberry Muffins are pretty easy to make and can be prepared very quickly. 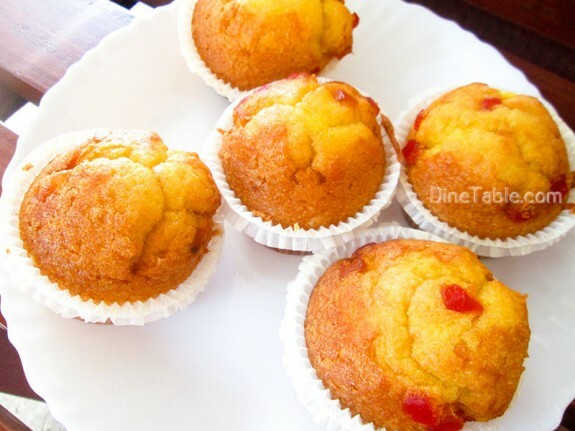 Try out this delicious strawberry loaded muffins at your home. 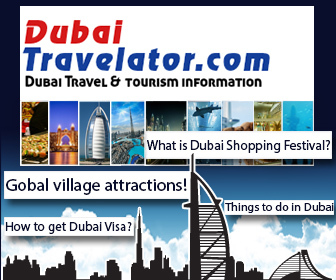 The Strawberry is called ‘the queen of fruits” in Asian countries because it’s packed with amazing health benefits. It contain potassium, vitamin K and magnesium which are important for bone health. They are also packed with antioxidants which helps to lower blood pressure and protect your heart. Wash strawberries well with water and pat dry. Chop it into small pieces and set aside. Preheat oven to 375 degrees and line a 12 cup muffin pan with paper liners or lightly butter or spray the muffin cups with a vegetable spray. Beat in eggs one at a time and add almond extract into it. Turn mixer speed to low and add flour mixture slowly until incorporated. Add almond milk slowly into it and mix on low speed until it is combined. Do not over mix batter. Sprinkle the strawberries and tutti frutti with a little bit of flour not more than a teaspoon, just to coat them. Shake off excess flour. 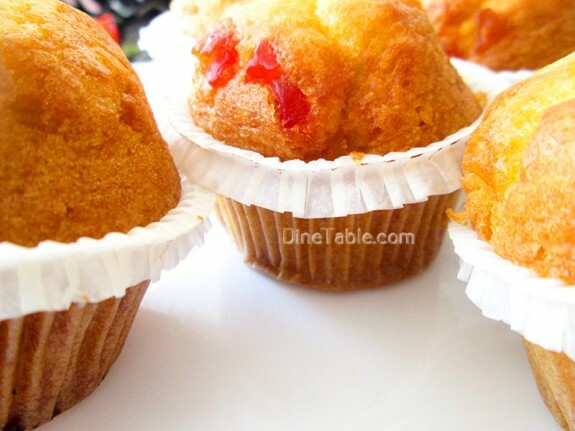 This step will prevent the strawberries from sinking to the bottom of the muffins. 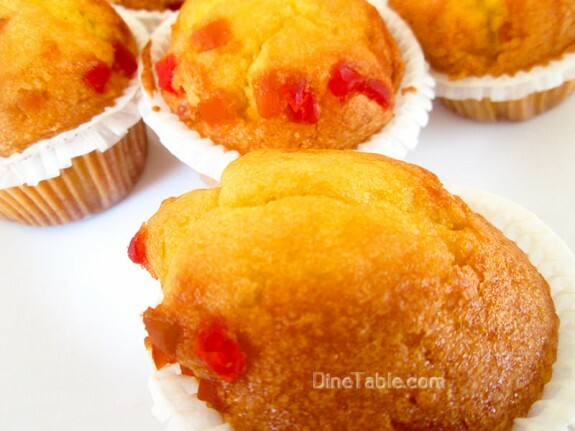 Fold in chopped strawberries carefully into the muffin batter and pour batter into the prepared muffin cups. Bake for about 18-20 minutes. 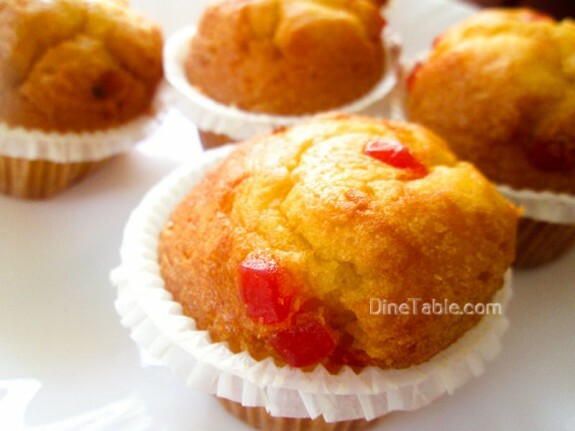 Test it by doing the toothpick test, it should come out clean if inserted in the center of a muffin. Transfer the pan to a rack to cool for 5 minutes before removing each muffin and placing on a wire rack. 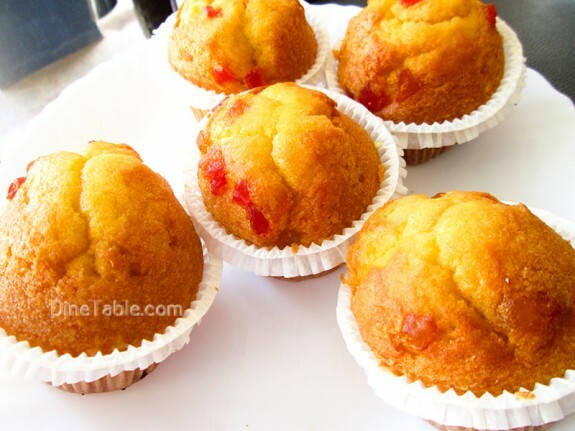 Tasty Strawberry Muffins are ready.